Smartec Scientific Corp (Smartec) has confirmed delivery of ZephIR 300 into Taiwan’s wind energy market. The wind lidar shall be used within the Taiwanese wind industry for profiling wind conditions remotely up to 200 metres without the need of a met mast. Additionally, ZephIR Lidar has confirmed Smartec Scientific Corporation as the company’s latest ‘Trusted Service Provider’ – Smartec will provide ZephIR technical and support services required in Taiwan. 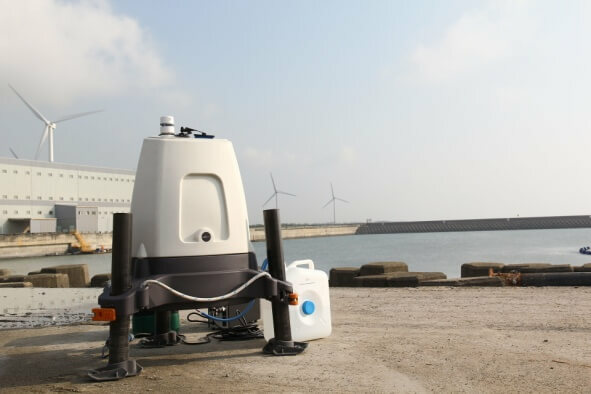 The announcement links to the success of introductory workshops on lidar [https://www.zxlidars.com/smartec-zephir-lidar-inform-taiwanese-market-developing-applications-wind-lidar/] organised by Smartec at the start of the month and confirms the company’s selection of wind lidar system ZephIR 300, ZephIR 300M and ZephIR DM as remote sensing solutions for providing the Taiwanese wind energy market with accurate wind data across all stages of a wind farm development project. Since its foundation in 1993, Smartec has been specialising in weather stations, water quality, ocean current measurement and system integration. In 2012 Smartec consolidated its reputation in the offshore wind market by joining the Taiwan offshore wind farm pilot project where they integrated two meteorological systems on Taipower and TGC offshore met mast. For over 13 years ZephIR Lidar has been providing high-resolution wind measurements onshore, offshore – on both fixed and floating platforms – and mounted on wind turbines for wind energy and meteorological applications globally.